Are you a lawyer, attorney or do you run a consultancy office or a law firm and need an appealing website to present your legal services, show your practice area or recent cases? With WordPress you can create professional online presences by using suitable lawyer WordPress themes which offer features specialized for sites from the legal segment. There are all kinds of different professional lawyer WordPress themes which provide features as custom post types for client pages, powerful option panels, compatibility or even integration of popular plugins like WooCommerce or WPML. To display your profession in best possible way, you can create an appealing homepage to show your contact details like phone number or mailing address. If you have business partners or team members, you can present them with their specific practice area in a well-organized way. You may also showcase latest case results to give potential clients some information about your expertise and legal service. Lawyer WordPress themes come with all kinds of different options which you can use to create individual websites according to your needs and requirements. Lawyer WordPress themes are niche templates and sometimes hard to find. We have thus collected some of the best rated and most popular lawyer WordPress themes which are suitable for attorneys, legal offices, law firms or any other legal profession. Please have a look at our WordPress lawyer themes collection and the according theme pages to find out which features, options, plugins or plugin compatibilities come with your selected WordPress theme. 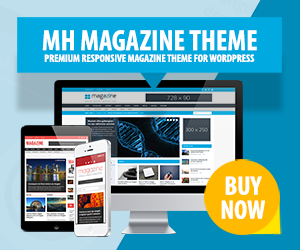 To choose the ideal WordPress theme for your website, you could compare your personal requirements with the offered theme features and then pick the theme that meets your requirements in the best possible way. The Practice Business WordPress Theme is a powerful template for websites for lawyers, attorneys, legal offices, consultancy firms or else. The Practice is especially designed and developed to match the mentioned target groups. It is retina ready to show images clear and sharp. Further it is responsive to look great on any kind of device….